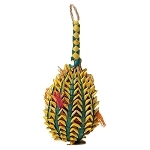 Handmade of palm and other natural fibers! 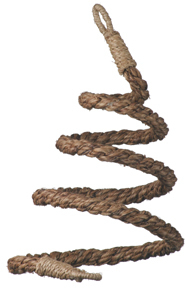 Hand woven outside with a variety of natural fibers all tied to a center, handmade sisal rope. 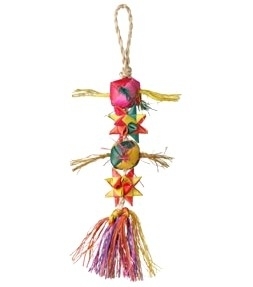 This is like two toys in one since it is stuffed palm tree twists, shredders and Abaca fibers. 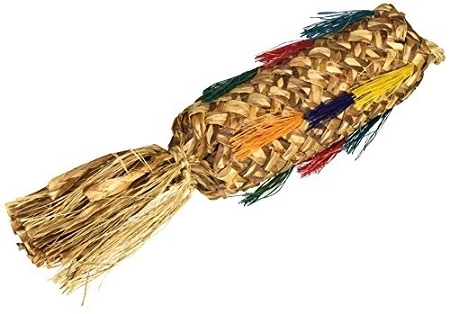 A little more durable, good, clean, destructive, foraging fun for every bird! 15" x 3.5" Suitable for large birds.